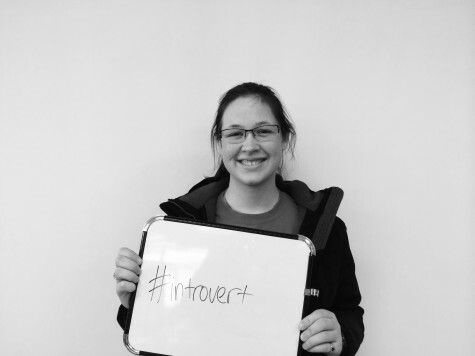 Janae Brown is an introvert. Ask anyone. She comes to class, sits at her computer, and gets her job done with as little talking as possible. But on the occasions when she communicates, she loves to make people laugh. She finds inspiration in everything, and obsessively pins to Pinterest all of her fabulous ideas. She writes poetry and short stories, and has been published in the student lit mag Borealis every year of high school at least once (poetry helps her relieve stress). She is extremely meticulous, and she is VERY EASILY ANNOYED when she has to drive her sister somewhere and they're late (and when one has 3 siblings that like to mess around...). But all that craziness funnels into her love of creativity and music. She can be found at night speeding down Wauwatosa Road (181), with the windows down, and the bass vibrating her mirrors and awakening neighbors as she flies past them. What she wants more than anything is a Greater Swiss Mountain dog. This is her second trimester as an editor, and she's hoping her team can produce another awesome news mag!